Have you ever wanted to summon magical powers? Create a stained glass style masterpiece? Or turn Summer into Fall? There’s a whole world of opportunity out there for creating fun photomontages, powerful panoramas, and dynamic distortions. 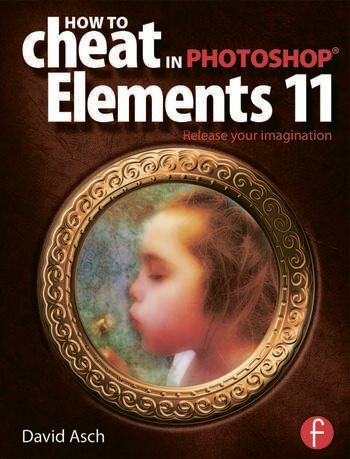 Redesigned and completely rewritten for Elements 11, this book starts you at the basics of photomontage with selection techniques, layers and transformations; leading up to full-length projects for creating magazine covers, fantasy scenes, poster artwork and much, much more. This book also features a dedicated website where you can download images and tutorial videos that show you how to expand, develop, and master top techniques. As well as, full color images, a glossary of terms, useful keyboard shortcuts, and a detailed index that will help you locate that fantastic technique in a flash. David Asch is a beta tester for Photoshop Elements. He contributes to Mac Format magazine, and is co-author of Digital Photo Doctor and contributing author to Drop Dead Photography Techniques.